This branch shall be called, ‘The South Yorkshire Branch of The England and Wales Cricket Board Association of Cricket Officials’. (ECBACO). It is also part of the Yorkshire Cricket Board – Association of Cricket Officials. (YCBACO). 2.1 The responsibility for the organisation of Umpires and Scorers education, training, assessment, activities and serve the needs of the members in the South Yorkshire Branch area. 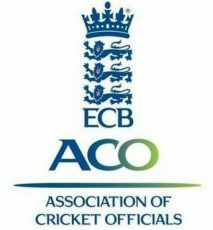 2.2 Encourage the development and membership of the Association in our area and look after the interests of all practising umpires and scorers through information and communication. 2.3 Promote the status and standards of umpiring and scoring in our area and encourage the recruitment of new members. 3.1 Membership shall be open to any member of the ECBACO, irrespective of gender, age, disability, ethnicity, sexual orientation, religion or other beliefs and without payment of any additional subscription. 3.2 The members of the branch may appoint a President and Vice Presidents who shall be appointed by the members at any Annual General Meeting of the branch, subject to all nominees retaining an active interest in the affairs of the Association and the Branch. This shall be subject to review at all Annual General Meetings. 3.3 The membership of any member required to pay a subscription, whose subscription remains unpaid three months after expiring, shall be deemed to have lapsed. 4.1 The administration of the Branch shall be vested in the General Committee, which shall be elected annually at the AGM. 4.2 The Committee shalt consist of a Chairman, Vice Chairman, Secretary, Treasurer, Training Officer, Examinations Officer, Publicity Officer, and a Scorers’ representative and up to six other elected members. 4.3 Once elected they shall serve for three years. After this time they can then be re-elected for a further term. 4.4 In the event of a vacancy arising the Committee shall have power to appoint a replacement member and in addition the Committee shall have the power to co-opt such other people as may be able to assist the Branch. 4.6 The committee may form such sub-committees as may be deemed necessary, with the same co-option powers as in 4.4.above. a) Produce an agenda and take minutes of all Annual, General and Committee meetings. a) Have charge of all monies, receipts and payments of the Branch. b) Open and maintain a bank account in accordance with rules 10 and 11 below. c) Pay all expenses as required, but none exceeding twenty five pounds will be paid without approval of the committee. d) Provide details of the account balance for committee meetings and produce a balance sheet for the Annual General Meeting. A copy of the balance sheet shall be forwarded to the YCBACO after acceptance by the members. e) The accounts must be audited annually by a member of the branch and as at the 31st October. They will also remain open for inspection by any member(s) of the Committee. 6.1 The Annual General Meeting shall be held by the end of November each year. 6.2 General Meetings shall be held as and when required at a time and place decided by the Committee. 6.3 Extraordinary General Meetings shall be held as required subject to a request by 25% of the membership, or at the behest of the Committee. 6.4 The Committee shall hold at least four meetings in the course of a year. (a) For an AGM or EGM, 10% of the current recorded membership. (b) For a committee meeting 50% of those eligible to attend. (b) 14 days notice of an EGM. (c) 14 days notice of a General Meeting. (d) 7 days notice of a Committee Meeting. 9.1 The business of the AGM shall be to receive a report on the previous year’s activities, including a financial report and to elect the Officers and Committee for the coming year. It will also set any Honoraria and any other matters the Committee deems appropriate, or shall be allowed by the Chairman at the meeting. This shall be reflected in the Agenda for the meeting, which shall be determined by the Committee. 9.2 At the AGM, all members of the Branch who are current members of the ECBACO shall be entitled to one vote on any and all matters that are put to the vote. When voting takes place a simple majority shall be sufficient to decide the issue, except for amendments to the constitution. (See item 16). In the event of equality of votes the Chairman of the meeting will have a casting vote. In casting such a vote the Chairman will usually, as no majority has been established, but not compulsorily, exercise his or her vote so as to preserve the status quo. 10.1 The branch may reward its officers with Honoraria to an extent to be decided by the membership at the AGM. 10.2 Members of the committee will be entitled to reimbursement of all expenses incurred on behalf of the Branch in an amount to be agreed by the Branch, provided that prior authorisation to incur these expenses has been obtained. 11.1 A bank account will be maintained in the name of the Branch. 11.2 At least three officers must be authorised by a resolution of the Committee to sign cheques and complete a mandate for the Bank accordingly. 11.3 Any withdrawal from the account shall require the authority of at least two of the approved signatories. The Branch may present annually any Trophies or other such awards as the Committee shall consider appropriate. 13.1 At all times Members of the Branch shall conduct themselves in a manner befitting the status of a cricket official, and in accordance with the ECB Code of Conduct for Cricketers and Officials, and the Spirit of the Game as laid down in the laws of Cricket. In the event of any allegation of misconduct against a member of the Branch, a disciplinary process that is fair, open and honest must be followed. 13.2 An internal inquiry will be set up in order to investigate the matter, establish the facts and determine whether there is a case to be answered. 13.3 Where there is deemed to be a case to answer, the accused member shall be informed of the charge and made aware of the evidence in support of that charge. A date will be set for a Disciplinarv Hearing of which the alleged offender shall be given a minimum of seven days notice in writing. The accused member shall be invited to attend that hearing and state their case. 13.4 The Disciplinary Panel shall comprise of, the Chairman or Vice- Chairman and two other members of the General Committee, none of whom shall be the accused member. Such accused member shall be entitled to representation at any such hearing by any person of his choosing. 13.5 If misconduct is proved, the Disciplinary Panel may formerly record a reprimand and give warning as to the future conduct, fine the member, suspend the member’s membership or terminate it forthwith. 13.6 There will be a right of appeal against the Disciplinary Panels decision. The accused member having to place in writing within twenty one days of being informed of the Disciplinary Panel’s findings, their intention to appeal, clearly stating the reasons for the appeal. 13.7 An appeal hearing will then take place within twenty eight days of receipt of written notice of appeal. The Appeal Panel shall consist of the President or Chairman or Vice-Chairman, none of whom shall be the accused member or have sat on the original Disciplinary Panel, and two other members of the General Committee, again neither of whom shall have sat on the original Disciplinary Panel. The accused member shall again be entitled to have representation in accordance with paragraph 13.4 above. 13.8 The Appeal shall be by way of a re-hearing, and the Appeal Panel may uphold or overturn the findings of the original Disciplinary Panel. Whatever decisions the Appeal Panel reaches, they may uphold the original penalty, reduce any original penalty imposed, or increase any original penalty imposed. The finding of the Appeal Panel will be binding and there will be no further avenue of appeal. This Branch being part of the ECBACO and the YCBACO, supports, and all members are required to comply with the ECB policy in relation to Child Welfare. The Branch supports and encourages all Cricket and its development within our area. If there should be no meeting of the Branch for 15 months then it shall be deemed to be wound up and any funds held forwarded to the Yorkshire Cricket Board as the area representative of the sport’s governing body, namely, The England and Wales Cricket Board, to be used for the benefit of cricket in the area by not for profit organisations. The Group may also be wound up by resolution at a General Meeting supported by not less than three quarters of those present and eligible to vote. No alteration or addition to this Constitution may be made except by a Special Resolution of which not less than 14 days notice has been given to the members. Any proposed amendment or alteration to the Constitution shall be submitted to the Secretary by the 31″ August in any year, and must be signed by at least two members of the Branch. A Special Resolution shall require at least two-thirds of the votes cast by the members present and voting at the meeting. Any other matters not covered by the foregoing shall be decided by the Committee. 20) STANDING ORDERS FOR ALL MEETINGS. 20.1 No discussion shall take place on any motion unless it has been properly proposed and seconded. 20.2 All discussion shall be through the Chair and not between individuals. 20.3 An amendment to a motion must be properly proposed and seconded and must be read out by the Chairman before it is discussed. 20.4 Only one amendment shall be considered at a time. 20.5 The order of discussion shall be, first the amendment. If the amendment is defeated then any subsequent amendment may then be proposed. If the amendment is carried, then it becomes the substantive motion and any further amendment may then be moved. No second amendment shall be discussed until the first has been decided. 20.6 The decision of the Chairman on any point of order shall be final. This Constitution was discussed at our Branch Committee Meeting on Monday 7th September 2009. It was proposed, seconded and accepted unanimously by all those present as the official Constitution for our Branch.